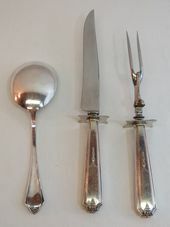 Here is an antique silverplate carving knife fork set in the Gorham Vanity Fair pattern & a casserole serving spoon (unknown pattern). 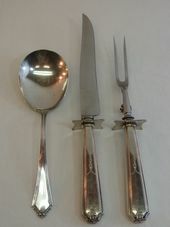 The carving knife & fork set has hollow silverplate handles & the antique fork & knife blade are marked stainless steel. 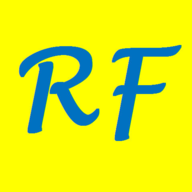 Both the carving knife and carving fork have a square finger guard at the tops of the handle. The fork has a built in pivoting table rest. 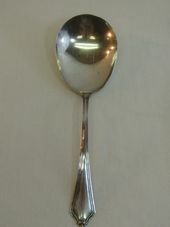 The casserole serving spoon (unknown pattern) has a classic design with narrow band at the handle edges and a tiny flower at the top of the handle. Marked E.P.N.S. on the reverse side of the casserole serving spoon. 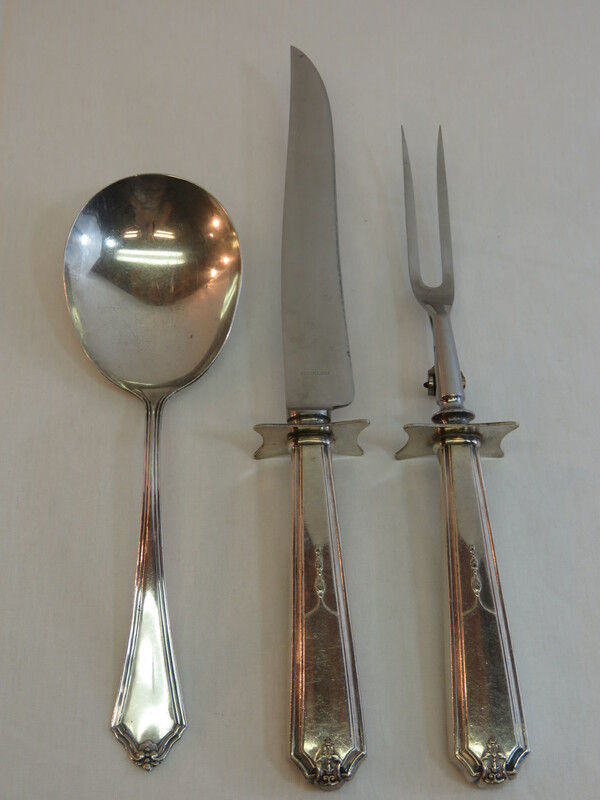 Antique Silverplate Carving Knife and Fork Condition: The carving set is in good condition. Both pieces have surface scratch marks typical with use. The pivot table rest on the fork is functional with some wear marks (see photos). Antique Serving Casserole Spoon Condition: Good condition with some wear in the bowl area. Surface scratch marks on the front & back of the spoon.